After a long summer of movie-watching, the FilmNerds crew has emerged from their air-conditioned screening bunkers to bring you an all-new edition of FilmNerds Recommends, our special feature where we do our sacred duty as film geeks by telling you which movies we think are worthy of your valuable home entertainment time. With footballs flying and leaves turning, the fall movie season is nearly upon us and the FilmNerds contributors are here to offer you their top picks for this fall. After seeing the trailer for TINTIN: SECRET OF THE UNICORN in digital IMAX 3D yesterday, I have been swayed. I will brave the land of the dead eyes to gladly experience Spielberg’s first foray into motion capture filmmaking… the place former Spielberg collaborator Phil Tippet says is “where good directors go to die.” All that said, the visuals look amazing, and the source material is very strong. I doubt it will make any money in the States, but I think it’ll be a fun ride. 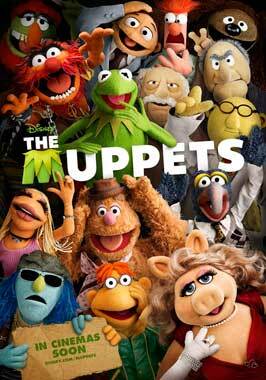 I’m throwing my lot in with THE MUPPETS, because I love THE MUPPETS (who doesn’t? no, seriously, which one of you contrarians is going to be the first person to pop up here and say “I don’t love THE MUPPETS”?). And as far as Muppet movies go, this looks pretty aces; mix a healthy amount of nostalgia and just glee to see Kermit and co. on the big screen again with a filmmaking team that has no only knowledge of but reverence for the Jim Henson workshop, add the characteristic irreverent humor, and I’m ready to go. While some feel animation guru Brad Bird deserves a better live-action feature debut than the fourth installment in an already-established action franchise, my thought is if we’re stuck with it, then it’s better him in the spy adventure genre than someone else. Where M:I3’s narrative fell short, JJ Abrams did deliver some exciting set pieces. But here’s hoping Bird, who gave us one of the best action movies of the last decade with THE INCREDIBLES, can top that and more. Ignoring that Eminem song, the trailer promises plenty of spectacle, which in Bird’s hands, means good things. As a book, THE GIRL WITH THE DRAGON TATTOO is as brilliant as it is violent and masochistic. The books, penned by the now deceased Stieg Larsson, are some of the best contemporary crime novels out there. All three books in the “Millennium Series” have been made into extremely successful and well-reviewed films in Sweden. It’s always thrilling to see an adaptation of a favorite book (throw Tinker Tailor Soldier Spy in there) and the fact that David Fincher is directing only excites me more. Rooney Mara stars as Lisbeth Salander and Daniel Craig as the investigative journalist. Prepare thyself for a thrill ride, though your appetite may not allow for popcorn consumption while watching. With WAR HORSE, Steven Spielberg steps back into the spotlight for the first time since 2007 in an attempt to redeem the tragic misstep otherwise known as INDIANA JONES & THE KINGDOM OF THE CRYSTAL PRAIRIE DOGS.WAR HORSE already entered the zeitgeist this year via a highly successful Broadway show that uses complex puppets to tell the tale of a boy’s quest to reunite with his loving equine companion amidst the horrors of World War I. For the movie’s initial trailer, Spielberg went light on the dialogue; instead relying on a combo of music and images from his main two collaborators: composer John Williams and DP Janusz Kaminski. Everything we see in those precious 2 minutes far surpasses the numerous nuclear failures that characterize Spielberg’s previous effort. If WAR HORSE doesn’t turn out to be a masterpiece, at this point we can all agree it’s at least a BIG step in the right direction. First of all, everyone else took the good ones but that said, I am legitimately intrigued by where this plucky, low-budget horror franchise is going. Have there been some cheap haunted house gags? Yes. Are the thrills plentiful? Not really. But what these movies have done a great job of is building enormous tension that carries with you through even the least scary scenes of the film and created a mythology that not only lends itself to a prequel but almost requires it. I’m down for seeing how these guys wrap this creepy story up. While WAR HORSE seems like an obvious Oscar grab, I’m going to go ahead and throw my lot in with TINKER TAILOR SOLDIER SPY, which is already getting great buzz. Tomas Alfredson is an auteur to watch, Gary Oldman looks to be giving a career-defining performance, and the production design seen in the trailer looks like it hits the mark. In 2004, SIDEWAYS came out and dominated critical attention and acclaim for a large chunk of the Oscar season (only to have its thunder stolen by a late-breaking Eastwood surge and MILLION DOLLAR BABY). I don’t think anyone at that point thought anything other than, “This Alexander Payne keeps getting better and better. 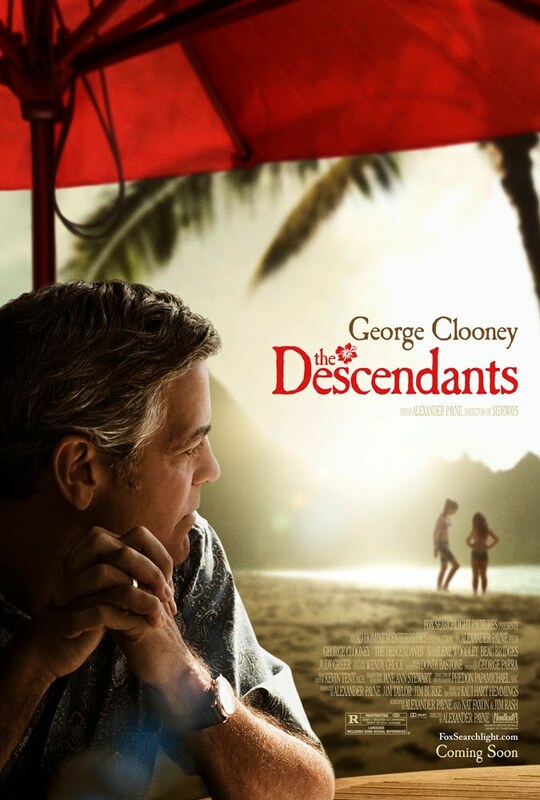 I can’t wait to see what’s next.” Well, here we are, seven years later — a gap that seems unbelievable — and I still can’t wait to see THE DESCENDANTS, despite a trailer that doesn’t do much for me. But early reviews out of Telluride are quite strong for this one. We’ll see, but the more Alexander Payne, the better, as far as I’m concerned. 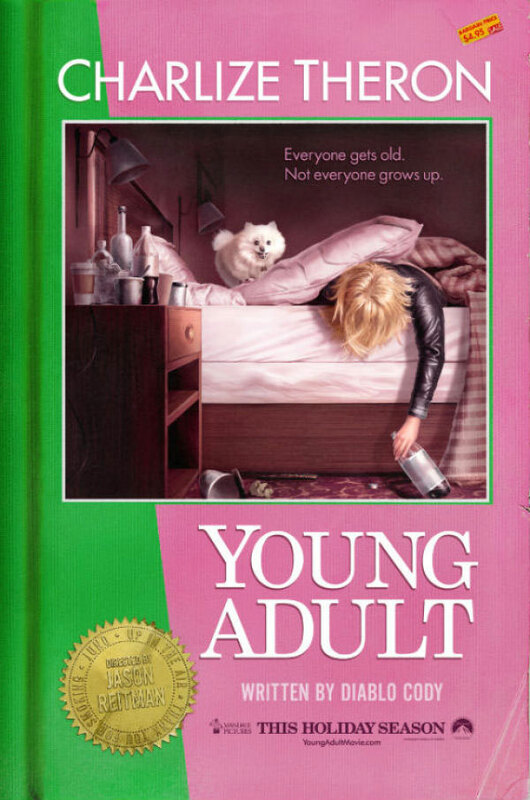 YOUNG ADULT marks Jason Reitman’s fourth feature film and likely his third straight Oscar contender, which is loaded with some prestige. Once again collaborating with JUNO’s Oscar-winning screenwriter Diablo Cody, Reitman teams with Oscar-winner Charlize Theron, who plays a writer who returns to her home in small-town Minnesota to rekindle a romance with an ex-boyfriend who now has a wife and kids. Cody’s language always gives way for suspicion, given her last outing in the feature arena, JENNIFER’S BODY, straight up stunk. But in the capable hands of Reitman, who progresses as a storyteller with each of his films, I feel less suspicious. It’s hard to believe that at least a couple of acting nominations won’t stem from THE IDES OF MARCH. All one has to do is check out the cast list which includes: George Clooney, Ryan Gosling, Evan Rachel Wood, Marisa Tomei, Paul Giamatti and Phillip Seymour Hoffman. I know, I know, a stellar cast does not a Best Picture make, but the trailers and movie clips available online should provide further encouragement of the performances in this film. What’s more, George Clooney takes another stab at directing. When I think of Clooney as a director the first film that comes to mind is GOOD NIGHT, AND GOOD LUCK, one of the best films of 2005. If Clooney’s acting chops in THE IDES OF MARCH comes close to that film, then we’re in for something special. I’m seriously intrigued by the Cannes-sensation THE ARTIST, which picked up the Best Actor prize at the French fest for leading man Jean Dujardin. It chronicles the rise and fall of a silent film star as just as Talkies begin to change Hollywood forever. The main commercial challege facing THE ARTIST is the fact that it is indeed a silent film. To add insult to box office injury, director Michel Hazanavicius also shot the movie in black & white! However, its Cannes screenings generated overwhelmingly positive buzz, and it promises to lure fans of the Golden Age of Hollywood… hopefully more than were “lured” by THE GOOD GERMAN. Every movie Stephen Daldry has ever directed has earned him a Best Director nomination. All three. With Tom Hanks, Sandra Bullock and the backdrop of September 11th to work with, I don’t expect this time to be any different. It’s been a while since Hanks got an opportunity to deal with any truly dramatic material and expect Paramount to give Hanks and the film a huge push come Oscar season. TAKE SHELTER, from Arkansas filmmaker Jeff Nichols, could be Michael Shannon’s big break-out lead performance after several fantastic supporting roles. The movie’s trailer hints at a kind of meteorologic-ally motivated psychological drama (again!?!? ), and some elements might really hit home with those of us ruminating the spiritual implications of 2011’s bizarre weather onslaught. Speaking of untenably long waits between films, Lynne Ramsay’s last film, MORVERN CALLAR, came out in 2003 (I think)? So here we are eight years later awaiting the release of her latest, WE NEED TO TALK ABOUT KEVIN, an unnerving-looking drama about a mother dealing with a son she not only can’t relate to but who seems to be a “bad seed” in the classic sense. Ramsay’s visual style has been missed — say what you will about the plotting of her first few films, but she’s an true artist behind a camera, and the fact that a few out-of-context shots in a trailer managed to unsettle me speaks well for the upcoming WE NEED TO TALK ABOUT KEVIN. I stand among the few who stubbornly anticipated Kenneth Lonergan’s follow-up to his powerful 2000 drama YOU CAN COUNT ON ME. I first heard about MARGARET when it was in production circa 2005 and couldn’t find a release date until now thanks to editing disputes and lawsuits. Finally, we get Lonergan’s second feature film, starring Anna Paquin as a student who must cope in the aftermath of a fatal New York City bus accident. Not that Paquin’s my favorite actress, she’s at least joined by the likes of Matt Damon, Matthew Broderick, Allison Janney, Mark Ruffalo and Rosemarie DeWitt. I’m a little scared of how often this thing visited the chopping block, but I’m even more pleased to see Lonergan’s return to the game. MONEYBALL isn’t among the handful of elite movie titles that come into conversation when discussing potential blockbusters or award winners, but this film has lots of potential. It is very gradually gaining buzz and once the reviews pour in from Toronto in a couple of weeks we might not consider this a sleeper anymore. Directed by Bennett Miller (Capote) and starring Brad Pitt and Jonah Hill, MONEYBALL is based on the true story of Billy Beanne, the general manager of the Oakland A’s, and his avant-garde approach to building a successful baseball team. Expect the unfortunately-titled Sundance hit MARTHA MARCY MAY MARLENE to cause at least a minor ruckus at big-city art house theaters. Sean Durkin – producer of Antonio Campos’ AFTERSCHOOL – makes his feature-directorial debut with this thriller about a young woman who breaks out of a cult.. seems like a mumblecore version of BIG LOVE. While the main attraction for most audiences will no doubt be the presence of Elizabeth Olsen a.k.a. the other Olsen sister… but for me it will definitely be the work of cinematographer Jody Lee Lipes whose hot streak continues after stellar work on last year’s indie-hit TINY FURNITURE. Take notice: we may be witnessing the emergence of the next Gordon Willis. Yes, this one might look like one of those movies that’s such obvious Oscar bait that no one takes the bait but we’re looking at three Oscar-winning actors (plus one nominee) and an Oscar-winning director putting on a play for us in an enclosed space. The trailer is manic and looks like it could verge on silliness at times but the potential for great dialogue and better delivery is here with these four heavy-hitters on screen together.